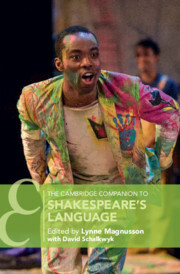 Cambridge Companions are lively, accessible introductions to major writers, artists, philosophers, topics and periods. All are collections of specially commissioned essays, shaped and introduced to appeal to student readers. Together the chapters add up to a systematic critical account of, for example Plato, Luther, Jane Austen, Tom Stoppard or Stravinsky, the French Novel or Jewish American Literature, and each book is supported by reference features such as a chronology and guide to further reading. Companions have colonised several fields within Humanities. The first two titles - Companions to Shakespeare and to Chaucer - were published in 1986. They were commissioned to meet a demand from students who wanted reasonably priced critical books that offered a variety of viewpoints rather than a single, idiosyncratic voice. From those beginnings we now have over 130 titles in Literature, over 60 in Philosophy and plenty more on musical, classical, religious and artistic topics. We have moved beyond single figures to offer Companions to literary and artistic genres and periods, musical instruments, and modern European cultures. Companions are designed not only to offer a comprehensive overview of their chosen topic, but to display and provoke lively and controversial debate. The Cambridge Companion to H. D.